Recently I was honored to present an official Senate Resolution to Erin Pratt of Rockport, MA during a full formal Senate Session. During her regular patrol of Good Harbor Beach in Gloucester, MA as a lifeguard on September 2, 2011, Erin heard cries for help and dove into rip-tide waters to rescue a swimmer in distress. Shortly after her dramatic rescue, she dove back into the dangerous waters to rescue a brother and sister, ages 10 and 12. Her courageous actions that day prevented the loss of life and avoided a tragedy. After I presented Erin with the Senate Resolution, a resounding round of applause proceeded, with every member of the Senate standing in ovation. Posted below are two photos that were taken during the formal Senate Session and please click here to watch a video of the March 22nd session to view the resolution presentation to Erin in front of the members of the State Senate. Please click "Read more" to read the Senate Resolution in its entirety. 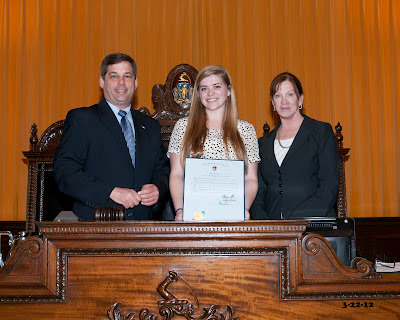 Senator Bruce Tarr stands with Erin Pratt and Senate President Therese Murray at the rostrum in the Senate Chamber. 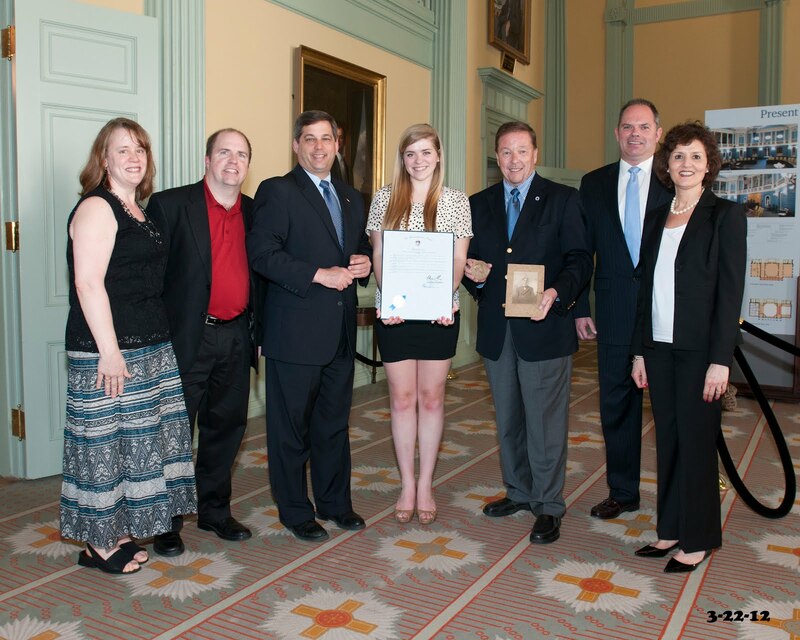 Senator Bruce Tarr, Senator Richard Ross, Erin Pratt and her parents stand in the Senate Reading Room after the full formal Senate Resolution presentation. 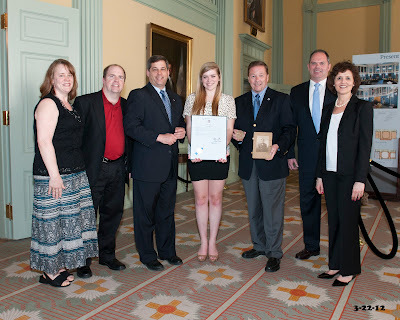 HONORING ERIN PRATT FOR HER HEROIC ACTIONS AT GOOD HARBOR BEACH ON SEPTEMBER 2, 2011.